Residential & Commercial Roofing, Perfected. Your home is a massive investment, and your roof is the most critical structural element. If your roof has been damaged or has reached the end of its service life, DMV Roofing Pros is here to help. If your roof is over 20 years old or the shingles have encountered “cupping” or a loss of granulation, we’ll provide a free, no-obligation estimate today. Just give us a call or fill out our contact form and we’ll get in touch with you. We’ve been serving home and business owners in the DC, Maryland, and Virginia area for many years, and we’re looking forward to working with you, too. We also conduct roofing installations for newly constructed residential and commercial properties. We have decades of experience in the roofing industry and have performed roofing installations of all types and all sizes throughout Montgomery County, MD, Northern Virginia & Washington DC. We pride ourselves on our quick turnaround times, commitment to superior workmanship, and customer service. If you need a roof installed and are looking for a reliable contractor to ensure the project is completed on time and on budget, don’t hesitate to give us a call. 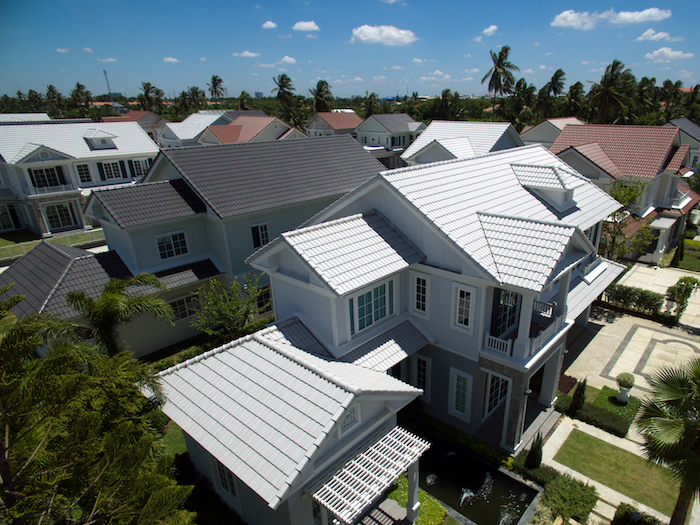 Roofing can reach the end of its service life without sustaining significant storm damage. Over time, shingle roofs will begin to lose granulation and start “cupping” on the edges. To sell the home, you will need to replace the roof for the house to pass inspection. Also, worn roofing presents an increased chance for failure during a storm. DMV Roofing Pros helps home and business owners all over the DC Metro area replace their roofing when that time comes. Just fill out our contact form, and we’ll come out to do a free inspection and estimate. Not every homeowner can afford to pay for a new roof at once. We offer financing to qualified buyers, allowing them to replace their damaged or dated roof with affordable monthly payments. In cases of weather and tree damage, you might qualify for a new roof through your homeowner’s insurance policy. We will help you file a claim so you can get a new roof without any money out of your pocket. If your roof has been damaged or is reaching the end of its service life, contact DMV Roofing pros today. One of our experts will schedule a visit to your property and provide a free, no-obligation inspection and estimate. In cases of hail or tree damage, we will also help you file a homeowners insurance claim. Just give us a call or fill our contact form and we’ll get in touch with you soon. Proudly Serving Maryland, Virginia & DC with Friendly, Affordable & Professional Roof Installations & Replacements.